Christmas is a time for fun, presents and merrymaking. But amongst the hustle and bustle it is also a time when many people try to think of the needs of others, either in their own community or further afield. 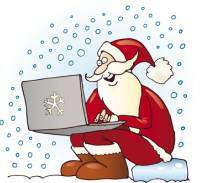 Its a great time for some festive Xmas Fundraising Ideas! If you have access to the raw materials selling Christmas greenery can be a great Christmas Fundraiser. Remember you should never take or cut from bushes where you do not have permission. 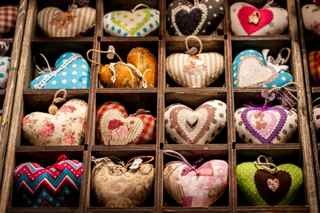 If you can find a friendly landowner or farmer however you may be able to find all sorts of bits and pieces that can be sold for Christmas decorations. 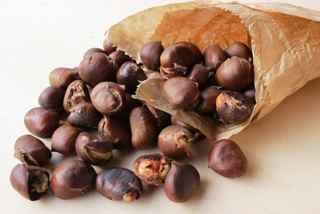 These are the commonest items sold but there may be local traditions where you live. 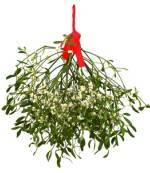 Mistletoe - Its traditional to hang bunches of mistletoe from the ceiling and considered lucky to kiss beneath it. Holly - A traditional signifier of Christmas. All sorts of different types of holly are available. Needs plenty of berries to make a great decoration. Ivy - Another easily found Christmas favourite. Long strips make great decorations along banisters or window ledges. Evergreen Fronds - A very ancient tradition is to take in small branches from evergreens over the holiday period. The idea being the new life of the coming Spring symbolised by the green. Many different evergreens can be used but fir and yew are particularly popular. You need to sell your greenery quite close to Christmas to keep it fresh. A table at a Christmas Bazaar or in a town centre the week before Christmas is perfect. You may also be able to sell to bars, shops and clubs. Another one of those Christmas fundraisers that is popular with many non-profit organisations. The key to selling trees is location. You either need to be in a very visible location or advertise strongly so that people will find you. Church car parks and school playgrounds make great places for people to pull in and buy trees. Selling Christmas trees for charity can work 2 different ways. Sell trees yourself - Buy the trees wholesale and organise a team of volunteers to man your tree station. Don't forget too that everyone needs to get rid of their tree at the end of the festive season. Why not offer a "Tree Disposal" service. You will need a truck, trailer or van and somewhere you can take the trees. Alternatively if you have use of a good quality chipper you could invite people to bring their tree to a local venue for chipping in exchange for a donation. Or you could collect. This could become a mini-fundraising event in itself. You could offer a mince pie and cup of something warm at the same time. A nice way for a community to bring Christmas to an end. Christmas wreaths are really popular Christmas Fundraisers for many organisations. They take a bit of work but could be a great work project or social opportunity for some of your supporters. 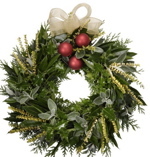 We have a separate page all about Christmas Wreaths for fundraising. The ultimate Bake Off Christmas collection with all of Paul Hollywood’s and Mary Berry’s Christmas masterclass recipes. 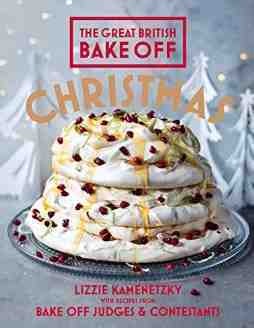 Also includes new bakes from all four winners, plus other wonderful Bake Off contestants. For US visitors The Great British Bake Off is the TV smash hit from the BBC. It's incredibly popular, with the final show this year attracting more TV viewers in the UK than the (Soccer) World Cup Final. If you can get permission, a small stall selling Christmas treats can be a good earner. Location is key but many town centres or malls will welcome the idea if it adds to the ambiance for Christmas shoppers. Setting up a gift wrapping station in a shopping mall can be very successful. Have a range of paper, gift tags and ribbons. Charge per item. As with many Christmas fundraisers this is the sort of stall that can also be a lot of fun. You need to be quite "out there" and up front" to solicit customers. Having the right person to attract people over makes all the difference. It works really well for cheerleaders and other similar groups. During the festive period many supermarkets will be willing to have members of your organisation offer a bag packing service at their tills. Approach the supermarkets directly well in advance. If you get lucky make sure you follow strictly any guidelines and stipulations the store make. It is a vital time of year for all retailers and they do not want any hassle. Or for their customers to be put upon. Be professional at all times. Fulfil your side of the deal properly. Don't forget the Thank You Letter afterwards. This is a traditional fundraiser at Christmas. Providing you have enough strong voices try your luck door to door. Another great option if you can get permission is in your local mall or town centre. There may, however, be stiff competition! This is a cute little idea for Christmas. It makes a perfect school fundraiser or church fundraising idea with a difference. Simply have a Santa Breakfast. Sell tickets in advance for a particular time and location. Have Santa's helpers serve a lovely breakfast. 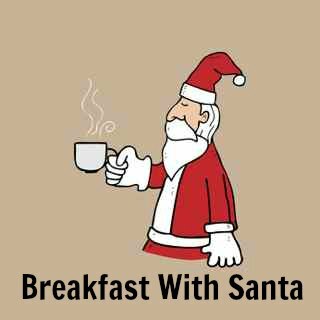 While breakfast is being served Santa wanders around Ho Ho ing and generally making people feel special. He might even tuck in too! Finish up with a carol and small gift. The festive season provides the opportunity for the sporty (and the not so sporty) to show what they're made of. 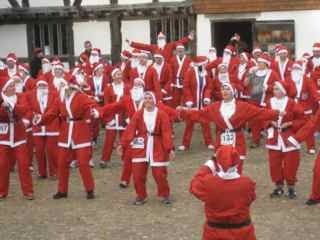 Lots of organizations take advantage of the chance of a bit of festive fun and organize all sorts of sporting activities for people dressed up as Santas. 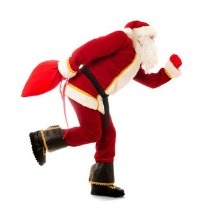 Santa hats and even whole outfits are surprisingly cheap and Fun Runs with everyone dressed up as Santa make great Christmas fundraisers in the run up to Christmas or just after. Charge for entry or to buy an "official" santa hat / outfit. You can also ask participants to raise sponsorship. Set the distance depending on the ability of your likely participants. For the general public 5km is a good sort of distance. It also means that older kids can take part. 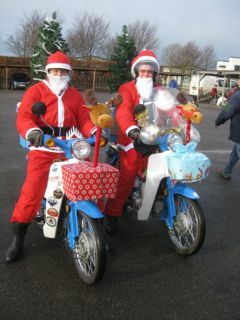 For the less active Santas how about a nice stroll around the local woods etc. This idea is only limited by your imagination. And what about the younger generation? - Who could resist sponsoring their favourite 2 year old in the local Santa Toddlers Race?! A vital part of the annual fundraising plans of many organisations. But for many people Christmas Bazaars and Fairs are also part of the fun of the build up to the festive season. A tradition has developed in our road of a Christmas morning Santa visit. A flyer goes round every house on our estate advertising the Local Santa. Parents take a present wrapped and clearly addressed to their child to a collection point where they are also expected to make a donation. On Christmas morning a "Local Santa" accompanied by some merry helpers delivers the presents directly to the kids. This has become a much anticipated part of the Christmas tradition in our community. Everyone comes out into the street to welcome Santa and its always really good fun. Its a good Christmas fundraiser too and makes a nice little bit for our local kids club every year. Do you know any good Christmas Fundraisers?